The last count showed the number of people going unsheltered in the Houston area had gone up. 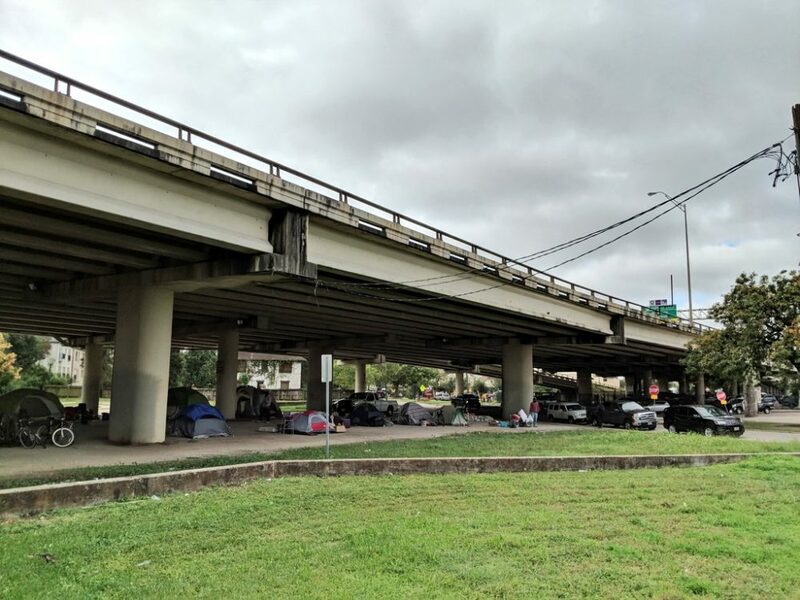 Houston’s Coalition for the Homeless begins its annual count of Houston’s homeless population this week. Housing advocates say the count this year will offer insights into how Houston’s most vulnerable stand as they continue to recover from Hurricane Harvey. At the same time, the continuing partial shutdown of the federal government is threatening to affect people in subsidized housing who are fighting their way out of homelessness. Last year, for the first time in years, the number of people going unsheltered in the Houston area went up, an uptick that was mostly attributed to Hurricane Harvey — 18 percent of people surveyed, sheltered and unsheltered, said Harvey had contributed to their homelessness. The Coalition’s Eva Thibaudeau-Graczyk said she expects they’ll be asking about the storm for years. Surveyors will also be working to get people in shelters during the count if they are eligible. That may be difficult though, as the city has lost some of its shelter capacity in the past year, Thibaudeau-Graczyk said. Concern regarding the lack of shelter capacity is compounded by the continuing partial shutdown of the federal government. Housing advocates are now starting to worry some of Houston’s most vulnerable may be affected, as grant applications with the Department of Housing and Urban Development are not being processed. “This is rental subsidies, this is your case manager. This is not a case where we can say ‘Well, we’re just not gonna open the doors this month and accrue costs.’ This is literally, these 15,000 people who we’ve permanently housed, it’s threatening to disrupt them,” Thibaudeau-Graczyk said. She added that even if the government re-opens soon, the time lost may still end up delaying crucial assistance.